After months of negotiations with the community, developer Avery Hall Investments has agreed to amendments to its two-building, mixed-use development planned at 120 Fifth Avenue, located on the corner of Baltic Street in Park Slope. 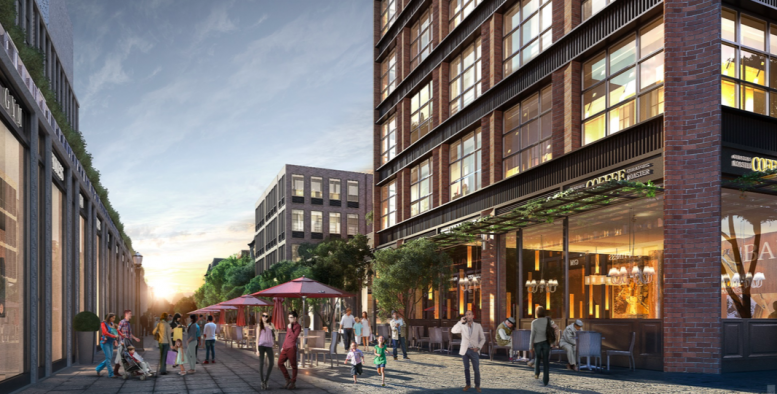 When the plans were initially presented in February, YIMBY reported that the 196,000-square-foot project would include 165 residential units and 52,000 square feet of retail. Twenty-five percent, or 41 units, would rent at below-market rates through a lottery and 7,500 square feet of the retail space would be designated for a grocery store. 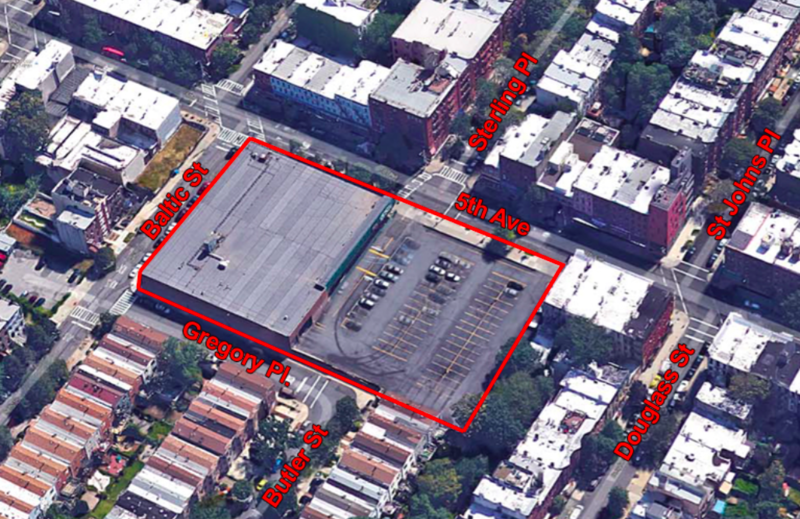 Now, those 41 affordable units will have a wider range of affordability and a 22,000 square feet of retail will be designated for the grocery store, DNAinfo reported. A request for proposals (RFP) will be launched to find a grocer that offers variety in regard to foods and prices. The two buildings will remain at seven and six stories in height. A Key Foods store must first be demolished. Multiple city agencies and the community board must first approve the project. Groundbreaking is tentatively expected in 2017, with completion coming two years later. 3 Comments on "165-Unit Mixed-Use Project To Have Larger Grocery Store, Deeper Affordability, 120 Fifth Avenue, Park Slope"
If the store is not comparable in size and affordability it’s no go. We don’t need a fru fru store. Many sources reported but I can understand, this time it’s coming from the project which is an appropriate. I would be great if they could keep the current operators of the key food on board. They’ve done a great job and are an asset to the community.